Red beets are a great, natural detoxifier and can help relieve and prevent skin allergies and itchiness in dogs. Regular detoxification is necessary to prevent common ailments and disease. Red beets are also known to be blood cleansers. They help detox and cleanse the blood of toxins, heavy metals and waste. The betalains in beets help neutralize toxins and make them water-soluble so they can be exerted through the urine and flushed out of the body. Studies have shown that when animals are given beet extract, their blood becomes more purified and free from toxins and mutagens, compared to animals who are not treated with beets. The betalains in red beets are powerful phytochemicals that have anti-inflammatory effects. Reduced levels of inflammation help benefit every system in the dog’s body and is key to physical wellbeing. All disease starts with some type of inflammation. Red beets are an excellent source of phytonutrients called betalains which function as cancer-protective antioxidants. Studies have shown that betalains can help protect the body from developing certain cancers including stomach and colon cancer. Red beets are a great way to help balance pH levels and to alkalize the body. Since most diseases live in an acidic environment, it is better to keep the body more alkaline, and a whole food like red beets and other root vegetables like carrots can help to achieve this. The betaine and choline in red beets help regulate inflammation in the cardiovascular system, and studies have shown that the nitrate compounds in beets positively benefit cholesterol levels. The regular addition of red beets to your dog’s meals can protect heart health in multiple ways. Red beets can help promote and maintain healthy weight in multiple ways. Red beets contain a gamma amino acid which helps maintain efficient metabolism. The betaine in red beets helps stimulate liver function to assure that fats are broken down efficiently. The beet fiber also helps increase the nutrient absorption and proper digestion of the dog’s food. Red beets contain a significant amount of carbohydrates that provide fuel for energy and prolonged sports activities. These are the natural building blocks of energy metabolism, and beets provide them without any of the negative side effects of many other carbohydrate-heavy foods. With a sufficient amount of carbohydrates, the body is able to fuel all of the necessary bodily functions as well, including the important metabolic reactions that keep organs functioning efficiently. High in immune-boosting vitamin C and other nutrients, red beets are an ideal addition to the diet to promote and help maintain a healthy immune system. The fiber in red beets helps to sweep the digestive tract of waste and toxins and restore healthy and regular bowel movements. The insoluble fiber in red beets can help promote regularity and prevent constipation. 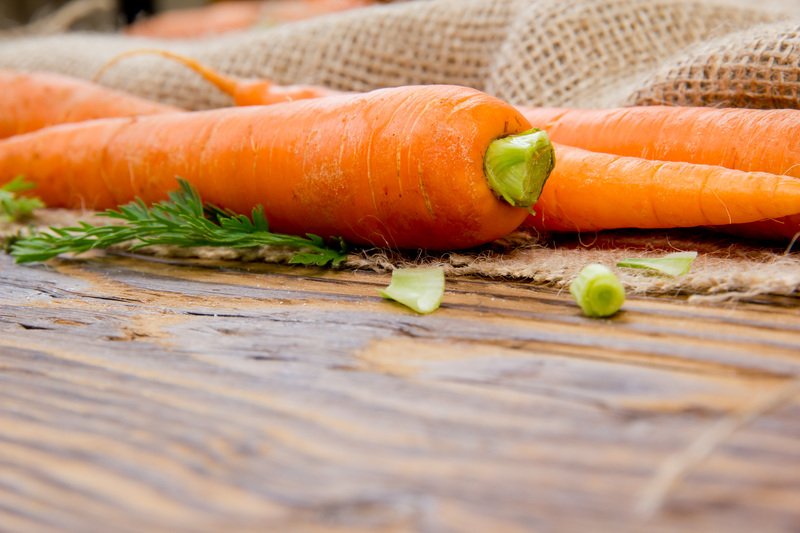 When the insoluble fiber moves through the digestive tract, it pushes out waste and speeds up digestion. The beta-carotene in red beets promotes healthy and shiny coat, enhances coat color, markings and pigmentation. Due to their potent antioxidants and vitamin A, red beets are very helpful in protecting eye health, including cataracts and molecular degeneration. Red beets help provide the dog’s tissues with oxygen and moisture to regenerate and maintain healthy mucous membranes. The most commonly examined mucous membranes are the gums. Healthy pink gums are an indicator of good blood oxygenation. Red beets are one of the richest sources of folate which plays an important role in normal embryo development and successful pregnancy in dogs. Dietary folate is more effective than synthetic folic acid. Red beets contain beta carotene which converts to vitamin A in the body. Vitamin A is important for the integrity of healthy skin cells to avoid skin allergies and itchiness in dogs. Vitamin A is also important for the integrity of the cells in the linings of digestive and urinary tracts, and cells in many organs like the stomach, kidneys and pancreas. Red beets contain good amounts of vitamin C which is essential to life. Dogs are able to produce their own vitamin C, but are poor producers, and stress alone can deplete the already low vitamin C output of a dog. There is no other vitamin deficiency that works as fast as vitamin C deficiency. Vitamin C plays vital roles in immunity, in the growth and maintenance of connective tissue, and in combating stress and toxins. Red beets contain excellent amounts of folate. Folate is required for growth and development and is vital during pregnancy for normal embryo development. Folate is needed for cell development and for amino acid metabolism. 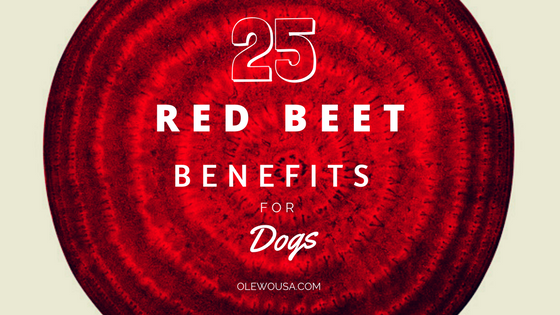 Red beets contain good amounts of iron which can help treat anemia in dogs. Anemia in dogs occurs when red blood cells are not functioning properly, which can be caused by infectious disease, autoimmune disease, cancer, iron deficiency, genetic defects, or injury involving blood loss. Red beets contain very good amounts of manganese which is an antioxidant, and helps the body utilize carbohydrates, protein and fat. It is useful for blood sugar regulation and energy. Manganese aids in the formation of mother’s milk and therefore is important during lactation. Red beets contain very good amounts of potassium which is needed to regulate the fluid balance within the cells and to maintain the acid base balance of the blood that keeps the body hydrated, energized and reduces muscle cramping and lethargy. The sweet taste of red beets adds a lot of interesting flavor to a dog’s diet which can be relatively bland. By topping of the meals with red beets, dogs typically enjoy their food more and bowls are licked clean. Puppyhood can be full of stresses and by supplementing puppies’ diets from the start, the extra vitamins and nutrients in red beets will strengthen their immune systems to help repel the constant threats around them, and to help prevent vulnerability to disease. They will strengthen their nervous systems, improve the functioning of their organs, and enhance growth rate. When dogs are fed commercial dog food only over many years, especially kibble, it can result in many health problems including damaged liver and kidneys. The extra vitamins and nutrients in red beets will boost the immune system in adult dogs to help increase resistance to disease. They can help slow down the degenerative processes and prolong the youthfulness of their bodies. As dogs age, tissues begin to deteriorate, internal organs loose efficiency, and the susceptibility to disease increases. The nutrients in red beets can help put the brake on your dog’s physical deterioration by recharging organs that were suffering from nutrient deficiencies and by naturally detoxifying the body. Red beets help boost energy and stamina, and are a great source of fiber, which helps the digestive system to function properly.